Lewis Carroll’s “Alice’s Adventures in Wonderland” forever changed the landscape of children’s literature; Disney’s animated “Alice in Wonderland” embraced this fantasy world filled with peculiar characters; and Tim Burton directed a visually-stunning, live-action film that mesmerized audiences worldwide. If you are like me and you love anything Alice In Wonderland you will love this new Alice Through The Looking Glass. I did like the first movie a bit better but I did like this one too. It is entertaining, fun, a little dark and you will have a few laughs too. Acting is fantastic, makeup and costumes fantastic and the story will keep you entertained. 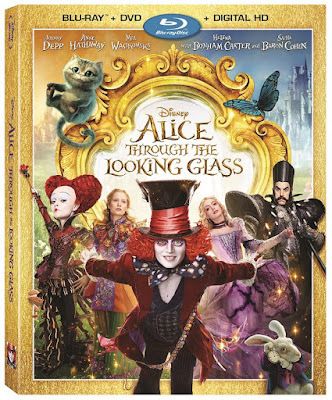 I give Alice Through The Looking Glass 4 out of 5. If you want to purchase this movie it is now available online and in stores near you.